Might Congress consider federal asset recycling? The two largest problems facing America’s highway system are (1) the need to reconstruct and modernize the aging Interstate highway system and (2) the need to start replacing per-gallon fuel taxes with per-mile charges. In the January issue of this newsletter, I suggested that the Transportation Research Board (TRB) Future Interstate Study Committee had missed an opportunity to propose addressing both problems simultaneously. That committee discussed but did not recommend long-term financing of Interstate modernization based on per-mile electronic tolling. In that article, I did not discuss how such a transition could be launched, but that is the subject of a new Reason Foundation policy study, released today. “The Case for Toll-Financed Interstate Replacement” draws heavily on the case made by the TRB Committee that the Interstates need both major reconstruction and selective widening. Our new study also explains why long-term financing is wiser than pay-as-you-go funding out of annual revenues, and that depending on a huge increase in federal gasoline and diesel taxes would be unwise as well as politically unlikely. It also explains that if we expect highway users to pay (over several decades) for a trillion-dollar modernization program, they will need to get real value for the per-mile charges they will pay. And that, alas, is not what the TRB Committee report offered to motorists and truckers. Under its mid-range scenario, after 20 years of spending $57 billion per year on Interstate modernization, they project that both poor pavement and traffic congestion would worse than today. As I watch the debates going on in states where Interstate tolling is being considered, I’m often dismayed by several aspects. First, there is far too much emphasis on revenue generation and far too little concern on the value for newly-tolled customers. Second, there is a focus on getting toll collection in place as soon as possible—without assurances that those who will pay the tolls can count on meaningful benefits from doing so. There is no consideration that per-mile tolls can and should be the first step in converting to mileage-based user fees—which are premised on (and promised to be) a replacement for fuel taxes, not an add-on. There is also still too much talk about charging only trucks, and there are all kinds of proposed schemes to make out-of-state Interstate users pay far more than in-state users. Congress created the Interstates as a way to facilitate inter-state travel and commerce. If, as seems highly likely, Congress does not come up with the funding to replace the first-generation Interstates, it still has an obligation to make sure the system remains a national system that does not discriminate between in-state and out-of-state users, and that all users pay for this immense and much-needed make-over. The above conditions are an attempt to make sure that states taking advantage of this voluntary program do so in a way that both adds value for all users of the replacement corridors and preserves a seamless Interstate system that facilitates inter-state travel and commerce. Ever since Reason Foundation’s first study of dedicated truck lanes (DTLs) back in 2002, I have been impressed by the potential economic and safety benefits of DTLs. Economic benefits would come from the ability to operate longer combination vehicles generating more ton-miles per driver, and safety benefits would result from reduced car/truck crashes. I’m pleased to report on two recent studies that quantify energy and air quality benefits of improvements focused on trucking. The first study is “Energy and Air Quality Impacts of Truck-Only Lanes: A Case Study of Interstate 75 between Macon and McDonough, Georgia,” dated November 2018. It’s a joint effort of the Georgia Tech School of Civil & Environmental Engineering and the National Center for Sustainable Transportation. That stretch of I-75 is a major truck route, bringing trucks from the Port of Savannah (which traverse I-16 to Macon and then I-75) to the southern outskirts of metro Atlanta. Georgia DOT several years ago proposed adding a northbound DTL to that corridor, and this study is part of the evaluation of this proposed addition to I-75. 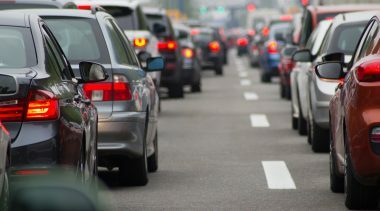 The study used a traffic simulation model to study changes in traffic flow and two widely-used models to assess energy and emissions. Traffic speed was improved for vehicles in the general-purpose lanes and for trucks using the DTLs, by 5.3 percent and 5.5 percent, respectively, and this reduced total vehicle hours of travel in the corridor by 5.2 percent to 6.9 percent, depending on traffic demand projections. There were also reductions in fuel consumption (2.7 percent to 3.7 percent), leading to significant emission reductions: CO2, 2.7 percent; CO, 8 percent; and NOx, 4.4 percent. 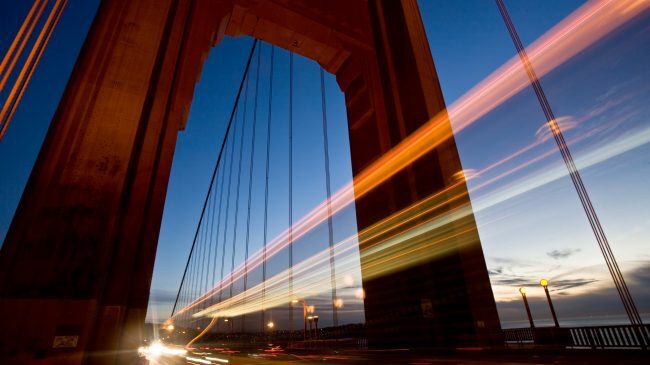 The new ATRI report is a case study of Spaghetti Junction. Based on data on the emissions and fuel use of trucks traversing this bottleneck (sometimes at speeds as low as 14 miles per hour (during peak periods), the study estimates the improvements that would occur if the interchange were redesigned and rebuilt to permit speeds to average 55 mph (probably unrealistic, but this yields an upper-bound estimate). For all vehicles (cars as well as trucks) using the interchange, the savings would include 4.5 million gallons of fuel per year, plus reductions of 17 percent in fine particulates, 8 percent in CO2, and 5.5 percent in NOx. Only a handful of major bottleneck interchanges have been redesigned and rebuilt in recent years, including the Springfield interchange in Virginia (I-95/I-495), the Marquette (I-43/I-94) and Zoo (I-94/I-894) in Milwaukee, and the Betsy Ross (I-95) in Philadelphia. The costs of these projects ranged from $676 million in Virginia to $1.6 billion in Philadelphia. The cost of replacing the rest of these obsolete interchanges was not included in the TRB Future Interstate Study Committee’s report. 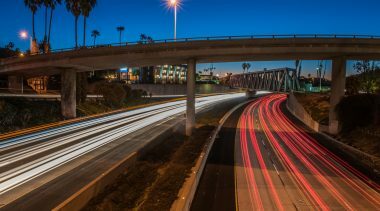 In late February, the Los Angeles County Metropolitan Transportation Authority (known as Metro) formally adopted a plan to build 28 major transportation projects in time for the 2028 Olympics. Originally proposed by L.A. Mayor Eric Garcetti, the plan includes a mix of projects throughout the county. Most are transit improvements but several are managed lane projects and two are bicycle paths. Building so many projects in such a condensed time window is a major challenge. 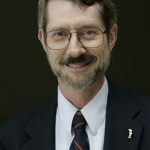 After studying the proposal, transit consultant Thomas Rubin and USC professor James Moore began writing a series of 16 briefs for Reason Foundation warning of the problems with such an undertaking. A number of the briefs are already available on our website here. The remainder will be available in the next few weeks. Below are a few highlights of the authors’ findings. The biggest problem is that Metro may not have sufficient resources to build all of these projects. Metro sales tax collections have not met the agency’s predictions. It started collecting the new Measure M sales tax in FY 2018. For 2018, Metro projected collections of $860 million, but actual revenue was only $775 million. For 2019, the agency projected $908 million but is on track to collect $844 million. If these shortfalls continue for 30 years, they will total close to $3 billion for Measure M alone. Metro also has three other half-cent sales taxes (from Measures A, C and R), so the total funding gap could be as much as $12 billion. The agency has a history of overestimating sales tax revenue. Metro’s 13 projections between 1983 and 2018 were 67 percent higher than its actual collections. Yet despite this poor record, the agency has not altered how it projects revenue. To build all 28 projects, Metro acknowledges that it needs more money than the sales taxes will generate. As a result, the agency also plans to use revenue from managed lanes, cordon pricing, mileage-based user fees, and corridor pricing to fund transit. Metro assumes it will garner all the revenue from all of these fees (rather than, for example, letting managed lanes be self-supporting from variable toll revenues), which violates the users-pay/users-benefit principle. Regardless, Metro’s projected revenues make some unrealistic assumptions. By assuming that every managed lane project in the region generates the same amount of revenue as the highly congested I-110 facility, Metro probably overestimates managed lane revenue. The agency plans to implement a $0.12/mile mileage-based user fee, which is six times what is being used in MBUF pilot programs. Metro intends to implement cordon pricing (charging all vehicles to enter a given area) and corridor pricing, neither of which has been implemented in the U.S. And it assumes that there will be political acceptance for adding all of these additional charges. There are other concerns beyond the funding. Most of the Olympic venues are clustered in an area stretching from UCLA through downtown and USC. A transportation plan for the 2028 Olympics would focus on improvements in this area. But light rail lines in the East San Fernando Valley and North San Fernando Valley don’t serve any Olympic venues. The bicycle network will not serve the Olympic spectators. Building these projects is about politics, not Olympics-related transportation. The agency’s plans to speed up project delivery may not be feasible. Southern California does not have the labor to build all of these projects in such a short period of time. Metro also doesn’t have the management and engineering staff to manage this array of projects. Speeding up project delivery increases costs; the benefits may outweigh the costs for emergency repairs such as replacing a deficient bridge. But speeding up delivery for projects that have nothing to do with the Olympics is not a good choice. It is no surprise that rail advocates are using the Olympics to justify more rail construction. And it’s no surprise that rail projects experience major cost overruns. What’s frustrating is that the last 25 years have shown—in Los Angeles and other cities— that expanding bus service increases transit ridership while expanding rail service decreases transit ridership. Further, bus is almost always cheaper than rail. Even premium express bus and bus rapid transit services cost one-third to one-ninth as much as the most cost-efficient light rail lines. Yet L.A. leaders, who should know better, continue to push for rail. Unfortunately, this is true in many places across the country. When Houston built a multi-billion-dollar light-rail network, total transit ridership (including bus) declined. A few years ago, Houston redesigned its bus network for a minimal additional cost, which led to an increase in bus ridership. The redesign, which included adding service on weekends, helped transit-dependent riders reach jobs they could not previously access on weekends. Yet Houston politicians have responded by calling for more rail funding. Seattle used to have one of the best bus networks in the country. Yet local leaders decided that they needed rail to be a “world-class” city. Policymakers have redirected highway funding and increased the sales tax to 10.1 percent to build several new light rail lines, projected to cost $50 billion over the next 25 years. They have also eliminated bus routes. The increased tax burden and reduced bus service have forced many low-income residents to leave Seattle and the region. Despite rapid population growth and spending billions of dollars on transit improvements, transit ridership has not increased and per capita transit usage has decreased. However, some regions are learning. Gwinnett County in suburban Atlanta created a transit plan built around bus, technology and private sector participation. Unfortunately, the March 2019 election on this plan, with its confusing ballot and inclusion of a heavy-rail extension (which reduced the number of BRT routes) led to the plan’s defeat at the polls. Regardless, Gwinnett provides hope that leaders can focus on improving transit for those who use it rather than building expensive rail. Might Congress Consider a Federal Asset Recycling Incentive? As this newsletter reported last year (and as I documented in a Reason policy study), Australia’s several-year federal asset-recycling incentive program was effective in generating improved infrastructure at the state and local level. It also expanded the federal corporate income tax base. The Embassy of Australia suggested the outlines of an American adaptation of their program back in 2017. Now that the White House and Congress are once again discussing an infrastructure program, it’s worth taking another look at this approach. The underlying concept is that some number of government-operated revenue-generating infrastructure enterprises are not really run in a businesslike manner. This could be remedied by selling or long-term leasing them to investor-owned companies with experience in financing, improving, operating, and maintaining such enterprises. And the net proceeds from the sale or lease (after paying off existing bonds) could be used to build other needed infrastructure that does not have its own revenue stream. The companies operating the revenue-producing assets would, if profitable, pay federal and state corporate income taxes, adding to federal and state tax bases. Two notable transportation examples are the long-term leases of the San Juan International Airport and the Indiana Toll Road, both of which were poorly managed and have now been significantly revamped via private investment. The federal government sets up an Asset Recycling Fund aiming to deliver $1 trillion worth of new state/local infrastructure. It would set aside $100 billion in a draw-down facility, funded by new federal bonds tied to the Fund. State and local governments would apply to the Fund for a 20 percent bonus on the sale/lease proceeds if applied to new infrastructure. The Fund would pay 10 percent of the bonus at the time of the sale/lease of an existing asset and the other 10 percent on completion of the new infrastructure. The program would be time-limited, e.g., that all applications and agreements must be completed by a fixed date (e.g., 2 or 3 years from the program’s launch). The federal government would receive new federal tax revenues from newly sold/leased assets that currently do not pay taxes, which would provide for debt service on the Fund’s bonds. As I re-read this 2017 document prior to writing this article a potential high-profile use of sale/lease proceeds occurred to me: the New York/New Jersey Gateway project to replace aging and obsolete bridges and tunnels on the passenger rail lines linking New Jersey to Manhattan. Neither Amtrak nor the commuter rail lines could possibly pay for the $13 billion replacement tunnels—but there are major revenue-generating transportation assets in the region that could be leased under long-term public-private partnership (P3) agreements, with the proceeds going to this new and much-needed infrastructure improvement if the political will is there. Florida is one of America’s fastest-growing states. 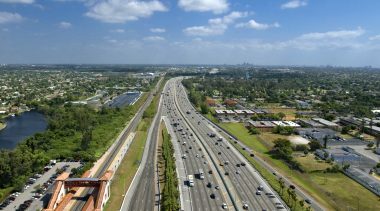 Its policymakers have done a better job than most in keeping the state’s highway capacity growing along with population growth, primarily by supplementing fuel-tax funded highways with over 3,500 lane-miles of toll-financed expressways, beginning with the well-run Florida Turnpike in 1957. Tolled expressways (and a growing number of express toll lanes) exist in all four of the state’s largest metro areas. Yet, one of the best-run urban toll systems, the Miami-Dade Expressway Authority (MDX) is threatened with demise by a bill in the Florida legislature. The bill, by Sen. Manny Diaz (R, Hialeah) and Rep. Brian Avila (R, Miami) would dissolve MDX, turn its five existing toll roads over to the Florida Department of Transportation (FDOT), and remove its tolls once the existing revenue bonds are all paid off, circa 2045. The bill is the latest legislative attack on MDX, which in previous years has been hit with restrictions on its tolling and mandates to transfer “surplus revenue” to the county government. This year’s effort is the strongest assault yet. The roots of this anti-tolls fervor date back to last decade, when MDX converted to all-electronic tolling (AET). Previously, it had charged tolls using toll booths at mainline barriers on each of its toll roads. Since there were many places to get on and off, about half the users of these toll roads paid nothing to use them. But the switch to AET “closed” the system, and all those former free-loaders had to start paying. That gave birth to a populist anti-tolls movement. At the annual meeting of TEAM Florida in January, there was considerable concern over this year’s escalated legislative assault on tolling. To be sure, this is only one metro area with its own quirky politics, but abolishing a successful and cost-effective tollway provider would set a terrible precedent for a state that needs more, not less, tolling. And if the Diaz-Avila bill were to pass, it’s not clear that Florida’s new and well-regarded Republican Gov, Ron DeSantis would veto it. His running mate, Lt. Gov. Jeanette Nunez, is a former anti-tolls legislator from Miami. Miami-Dade Mayor Carlos Gimenez, who chairs the MDX board, has proposed an alternative that may be worse than Diaz-Avila. It would also dissolve MDX but replace it with a new Miami-Dade Transportation Authority that would keep the MDX toll roads and acquire (for free) the Turnpike’s Homestead Extension (HEFT), thereby operating all the toll roads in the county. The plan would use “surplus revenues” from HEFT to reduce existing MDX tolls by 20 percent and keep those lower rates unchanged through 2053. There would be no new bonds and no expansion of the MDX network for 35 years of continued population growth—a perfect recipe for much worse traffic congestion. And that’s not even the worst part. The board of the new agency would be composed entirely of elected officials, rather than including business leaders and others with subject-matter knowledge. And true to its identity as a “transportation” authority, the initial plan would shift $1.8 billion in toll revenues toward planned but currently unfunded rail transit corridors. Thus, politicization would lead directly to turning a static set of toll roads into cash cows for rail transit. This proposal ignores everything we’ve learned about the need to provide faster region-wide travel as a key to an urban area’s economic productivity and about the ability of variable pricing to keep traffic lanes free-flowing. It would demolish the users-pay/users-benefit principle that has until now been preserved in Florida’s toll roads and toll lanes. And it would ignore the need to begin shifting highway funding from per-gallon fuel taxes to per-mile charges. Ironically, at the very time when the Florida legislature is considering the destruction of MDX, bills are moving forward in both houses to fund feasibility studies for three new toll roads in the western part of the state: an extension of the Suncoast Parkway north to the Georgia border, an extension of the Turnpike to the Suncoast Parkway, and a new north-south toll road to relieve I-75. It would be tragic for the legislature to expand tolling with one hand while crippling it with the other hand. In 2007, Pennsylvania legislators wanted to provide additional state funds to public transit agencies, primarily in Philadelphia and Pittsburgh. The state passed Act 44, which required its Turnpike Authority to toll I-80 users and send an annual fee to PennDOT for local transit. (While states should rebuild their worn-out, congested Interstates with tolling, simply adding a toll to existing highways to fund transportation services outside of the corridor is a violation of the users-pay/users-benefit principle and is poor policy.) However, due to the Interstate tolling laws, then-U.S. Secretary of Transportation Ray LaHood needed to approve the agreement. Finding it to be inconsistent with federal law, LaHood rejected Pennsylvania’s proposal. The decision placed the Turnpike Authority in a bind. It was legally required to divert money to transit but did not have any surplus revenue. Therefore the agency was forced to increase toll rates on the Turnpike (I-70/I-76) in order to send the required revenue per year ($450 million in 2017) to Pennsylvania DOT. Pennsylvania’s Turnpike has struggled to make the annual payments. And toll road users have paid the price. Motorists now pay $58.30 to drive the 360 miles between Ohio and New Jersey. The per mile toll of 16.2 cents is 50 percent higher than the country’s next-most-expensive toll road, the New Jersey Turnpike, and three times the rate of the New York State Thruway, which is similar in size to the Pennsylvania Turnpike. The high tolls have reduced Turnpike traffic volumes at a time when volumes on similar toll roads are increasing. Despite the increased tolls, the Turnpike debt continues to increase. At $11.8 billion, the debt reduces the Authority’s credit rating. More than half of the agency’s revenue is used for debt servicing. A recent state Auditor General report warns that the current toll increases are not financially sustainable. If Pennsylvania officials don’t address the problem, the state may need to use funds intended for other purposes to bail out the Turnpike. In addition to creating a hardship for the Turnpike and increasing the commonwealth’s debt, the current approach requires Turnpike users, many of moderate incomes, to subsidize urban transit users in Philadelphia and Pittsburgh systems, who have higher incomes. (Customers who use rail lines have above-average incomes). In addition to violating the users-pay/users benefit principle, cross-subsidies to higher-income people is very poor public policy. Solving the problem includes adopting both a short-term and long-term strategy. In the short-term, policymakers need to adopt the Auditor General’s recommendation to end the diversion to PennDOT. Several years ago, legislators increased Pennsylvania’s gas tax by 24 cents. As a result, the state’s $0.58 per gallon gas tax and $0.71 diesel tax are the highest in the country. PennDOT could use a portion of its own revenue to fund local transit systems, although it should be less than $450 million per year. Additionally, transit agencies need to increase their farebox recovery ratios. Both the Southeastern Pennsylvania Transportation Authority (SEPTA) and the Pittsburgh Port Authority recover only about 20 percent of their costs through fares. This is a very low rate, particularly for SEPTA, which provides service in a high-density transit-friendly region. Part of the problem is the agency’s low fares. Seniors pay $1.00 to ride commuter rail anywhere in the state. While nobody wants to burden seniors, an 18-mile trip between Wayne (a Philadelphia suburb) and downtown Philadelphia by car would cost $10.50. Having seniors pay $5.00 would help close the funding gap. SEPTA and the Port Authority should also examine charging for parking and using value capture to fund transit. Local transit agencies need to increase system efficiency as well. Local property tax revenue or general funds could help support these local systems. As a last option, instituting a local transportation sales tax, as many other regions have done, would provide needed revenue. While these changes would solve the immediate problem, future lawmakers may once again try to use the Turnpike as a piggybank. Therefore, the state needs to enter into a public-private partnership (P3) to safeguard the system’s revenue. The long-term P3 company would redesign, upgrade, finance, operate and maintain the Turnpike system. P3s have many advantages. They deliver needed infrastructure when it is needed; parts of the Pennsylvania Turnpike are more than 70 years old and need to be modernized today, not 30 years from today. P3s tap new sources of capital to pay for infrastructure improvements and shift risks from taxpayers to investors. They bring in innovation that typically offers better service and lowers costs. In the Pennsylvania situation, a P3’s biggest advantage is removing politics from the process. A public toll entity is responsible to the Legislature and/or Governor. A private toll operator is responsible to its customers, the toll road users. As a result, a private toll operator is not going to spend its toll-road revenue 300 miles away or charge inflated toll rates that cause potential customers to take another facility. A private operator wants to increase its customers, not exploit them. Maryland Gov. Larry Hogan received two boosts for his plan to add express toll lanes to three major corridors: I-270, the I-495 Beltway, and the potholed Baltimore-Washington Parkway. On March 21st, The Road Information Program (TRIP) found Maryland’s major expressways to be the country’s most congested, and the B-W Parkway so potholed that its owner (the National Park Service) just proposed cutting the speed limit to 40 mph to reduce damage to vehicles. Hogan wants to include the Parkway in his $9 billion plan for privately financed express toll lanes, a move that has received support from AAA, the country’s largest motorist association. The 1917 law that prohibits most commercial shipping between the U.S. mainland and overseas locations such as Guam, Hawaii, and Puerto Rico, greatly increasing the cost of living on those islands. Sen. Mike Lee (R, UT) has introduced the Open America’s Waters Act of 2019. It would allow any otherwise qualified vessel to engage in trade between U.S. domestic ports, including the above islands. With the new express toll lanes on I-77 set to open sometime this year, North Carolina DOT has awarded a contract to create the second leg in a potential network of such lanes. The contract with Blythe Construction will add one ETL each way on I-485 from I-77 to US 74. Ground-breaking is expected by this summer. The December 2018 issue of FHWA’s Traffic Volume Trends reports an estimated 2.3 trillion vehicle miles of travel for 2018, an increase of 0.4 percent over 2017. The Northeast led the way in VMT growth at 2.7 percent, but other regions grew at less than 1 percent. The report notes that these are preliminary figures, subject to revisions after further analysis. FleetOwner’s March 2019 issue reports that a Level 4 automated truck developed by TuSimple is making depot-to-depot deliveries serving 12 customers in Arizona. 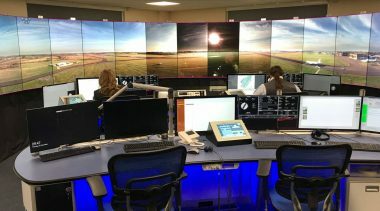 The article says the automation system is based on a “camera-centric perception solution” that can operate in bad weather as well as good. Lidar was rejected as a primary sensor in favor of cameras. Although the long-distance truck industry has experienced very high (up to 100 percent annual) driver turnover for decades, the Bureau of Labor Statistics says this does not constitute a labor shortage. Labor supply in trucking responds to market demand over time, the report said, and “the market for truck drivers appears to work as well as any other blue-collar labor market.” Hence, “there is no reason to think that, given sufficient time, driver supply should fail to respond to price signals in the standard way.” In other words, trucking companies should continue to improve driver pay and working conditions. In response to last month’s recap of recent express toll lane expansions, Fred Kessler of Nossaman points out that a project to add 7.2 miles of ETLs to I-35W in the Fort Worth metro area will reach commercial and financial close in May. This will be Segment 3C of the North Tarrant Express, much of which is already in operation. With the projected decline in revenue from per-gallon gasoline and diesel taxes, a bill moving forward in Parliament would put electronic tolls on all major highways leading in and out of Reykjavik, all tunnels, and major new projects such as bridges. The plan is to use license-plate billing rather than transponder accounts. Tolls would likely not begin until 2020. Jeff Schoenberg, former assistant majority leader in the Illinois Senate, has proposed a long-term P3 lease of the 274-mile Illinois Tollway system, with the proceeds being used to shore up the state’s grossly underfunded public pension systems. In an op-ed in Crain’s Chicago Business (March 5th), Schoenberg cites the billions paid for the Chicago Skyway and Indiana Toll Road leases last decade and suggests that the Illinois Tollway could be worth in excess of $24 billion. Former state-owned firm PetroCanada has announced plans to install 50 electric vehicle charging locations along the 4,860-mile Trans-Canada Highway by 2020. The company (now part of Suncor Energy) has 1,800 retail and wholesale locations across the country, but it did not announce which would host the charging stations. The planned chargers can recharge an EV’s batteries to 80 percent in 30 minutes—which means those locations should have food and drink available. 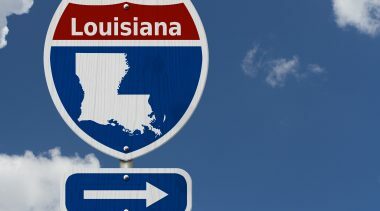 A U.S. District Court judge ruled that a federal court cannot restrain the collection of “state taxes,” which is how it described the truck-only tolls, despite the fact that all the revenue is dedicated to bridge repair or replacement. That decision leaves the American Trucking Associations with the choice of appealing to a higher federal court (on grounds of interference with interstate commerce) or trying its luck in state court. The ATA lawsuit argued that the truck-only tolls are discriminatory and in violation of the interstate commerce clause of the Constitution. On March 29th, ATA announced that it is appealing the decision. A heavily congested stretch of I-80, from I-294 on the east to Rt. 47 in Morris (west of Joliet) would be rebuilt and widened in a $1.5 billion project that Illinois DOT cannot afford. There is local support for the project, though its chances of passing are uncertain. If it does pass, the next challenge would be obtaining federal permission. The region’s Metropolitan Transportation Commission last year approved a Means-Based Fare Pilot Program Framework last year. In February 2019, the board of commuter rail operator Caltrain agreed to join the pilot project. The idea is to provide discounts to low-income riders using the Clipper card to pay their fares. This could be a first step toward the long-proposed idea of charging market-based fares to middle- and upper-income riders and providing subsidized rides only to low-income people. The Ohio Turnpike & Infrastructure Commission has announced plans to remove the entrance gates to the east and west ends of the Turnpike, as well as exit gates at E-ZPass-only lanes. Unfortunately for its customers, these overdue changes will not be completed until late 2021 or early 2022.